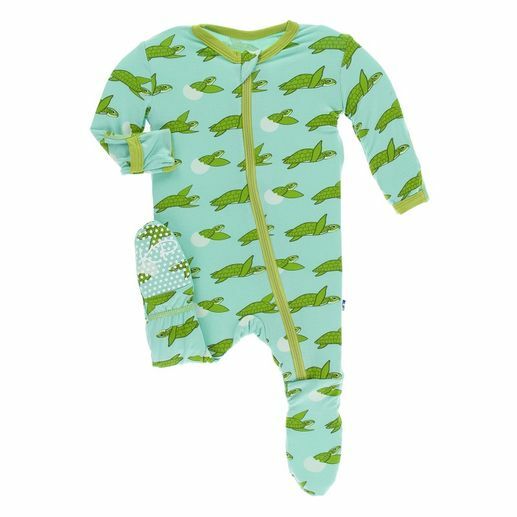 This glass sea turtle footie features fold-over cuffs at the hands and fleece in the feet for extra warmth on chilly nights. This style zips for super easy changes. Each foot also has grippies on the bottom for added traction and has snaps for easy changing. Layette sizes are older fit and will not be snug. Sizes 9-12m and up are all a snug fit. By Kickee Pants.